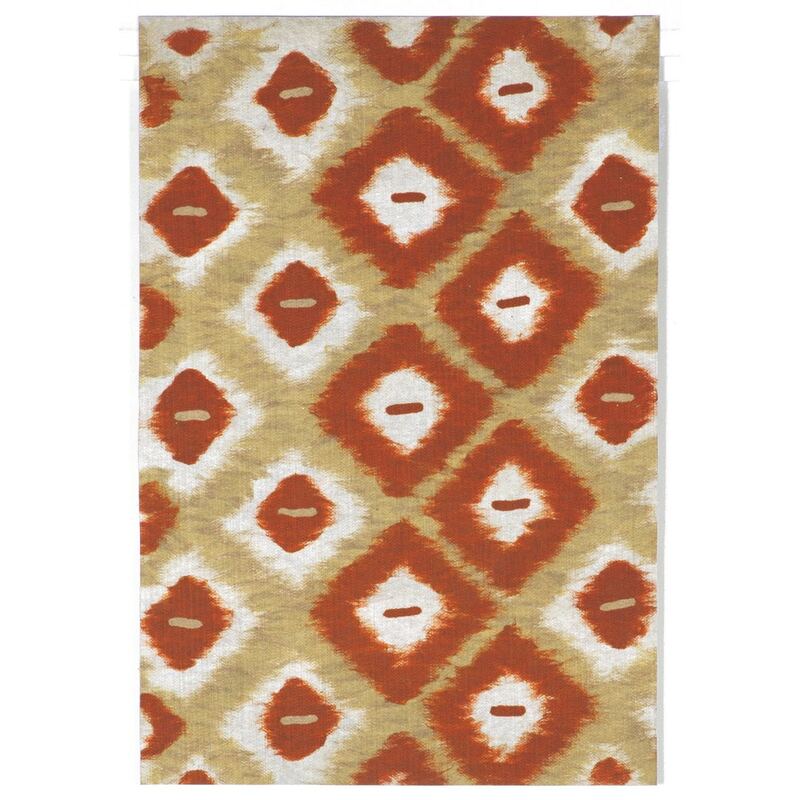 Maneck Visions II Collection 'Ikat Diamonds' Indoor/Outdoor Rug Ikat Diamonds - Red / 24"X36"
Ikat Diamonds - Red / 24"X36"
The highly detailed painterly effect is achieved by Liora Mannes patented Lamontage process which combines hand crafted art with cutting edge technology. These rugs are Hand Made of 100% Polyester fibers that are intricately blended together using Liora Manne's patented Lamontage process. They are then finished using modern needle punching and latexing processes that create a work of art that is practical The flat simple nature of these Lamontage rugs is an ideal base with which to create a rug that is at the same time a work of art. Perfect for any Indoor or Outdoor space, they are antimicrobial, UV stabilized, and easy care.